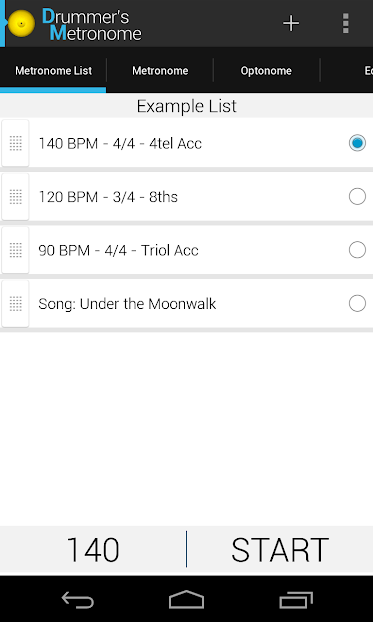 Drummer's Metronome is the best Metronome for drummers or every other musician on Android and Blackberry. 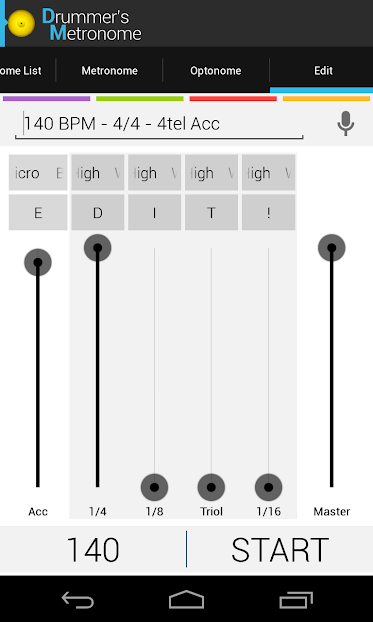 It is similar to some of the best "real" digital metronomes. 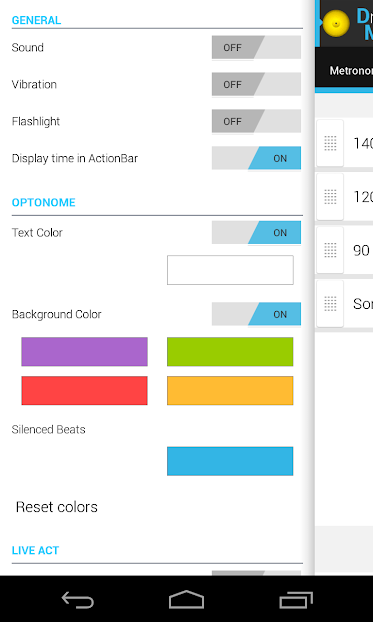 Get the Drummer's Metronome Android app from SlideME. 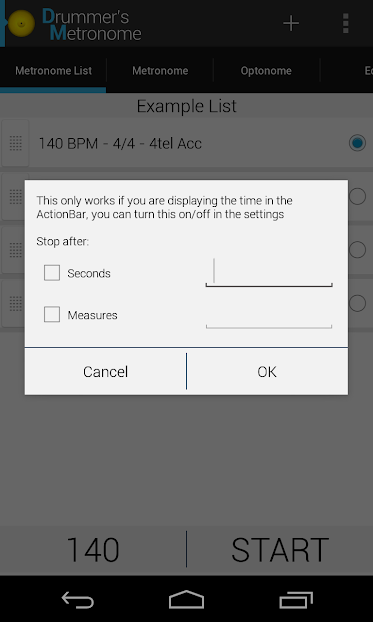 Drummer's Metronome is the perfect click track for practising sessions or live gigs. Easy to set up and plainly audible in your headphones. 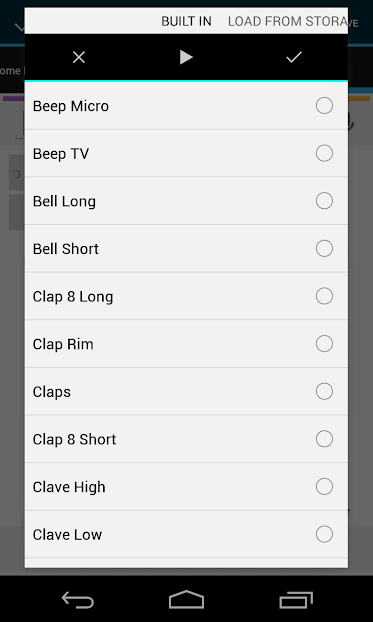 There are a number of good click sounds, but you can load custom sounds, too. 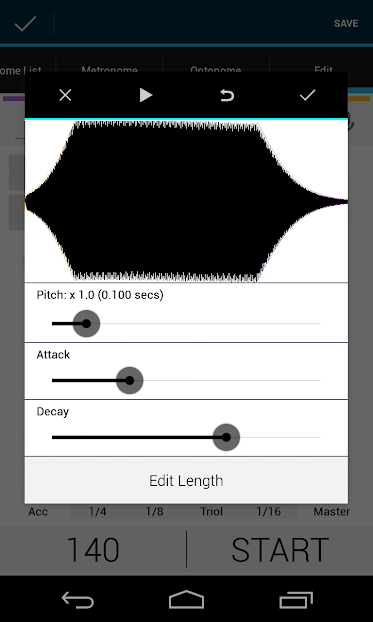 If you like it silent you can either use the vibration or a visual metronome. "Drummer's Metronome is the one to beat! 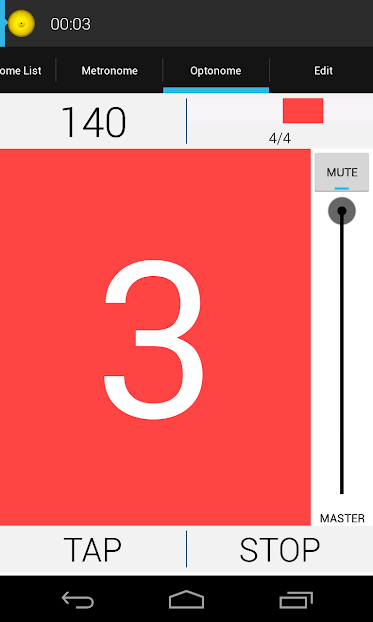 Stefan Pledl has raised the bar for metronome apps. 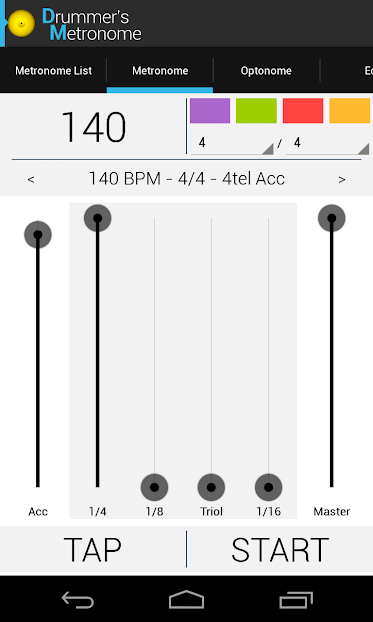 A must download for any musician with an Android phone." "Don't bother looking anywhere else. This app is by far 1 of the best apps I've ever seen in my life. I've been shopping around for a month now and was just looking at paid apps thinking that those would have to be better. I actually stumbled across this app by accident. You have really put something amazing together here and to make it free... thank you so much"